Discover out-of-the-way places like Museo del Vidrio y Cristal de Malaga and Natural Park Sierra de Cazorla. Explore Granada's surroundings by going to Ubeda (Sinagoga del Agua & Plaza Vazquez de Molina), Jaen (Castillo de Santa Catalina & Jaén Cathedral) and Ecomuseo Lagar de Torrijos (in Malaga). 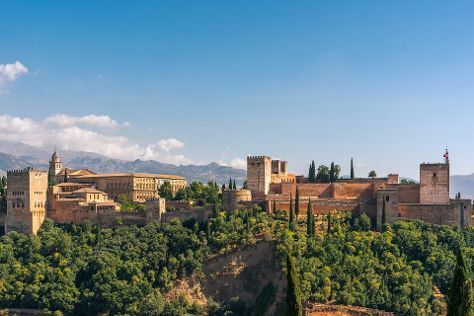 There's much more to do: step into the grandiose world of Alhambra, take a stroll through Albayzin, engage your brain at Science Park (Parque de las Ciencias), and take in nature's colorful creations at Generalife. To see traveler tips, ratings, reviews, and more tourist information, read our Granada driving holiday website . February in Granada sees daily highs of 14°C and lows of 3°C at night. Finish your sightseeing early on the 7th (Thu) to allow enough time to travel back home.